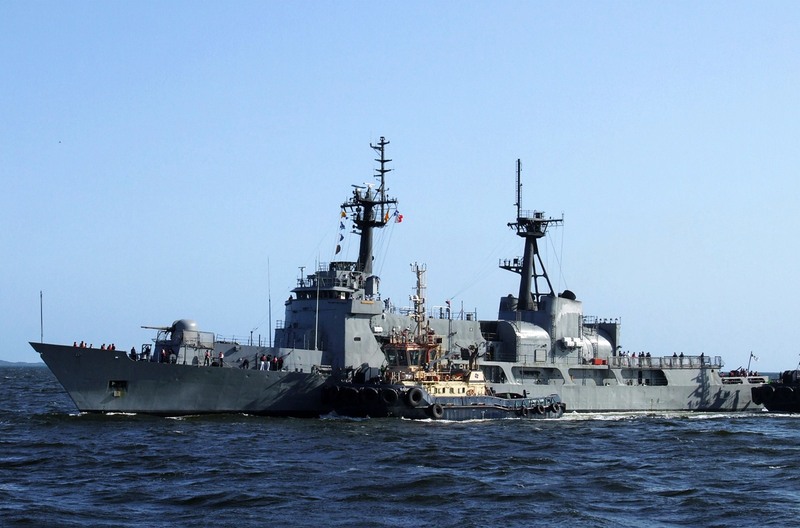 Naval Power : South Africa’s Valour Class Corvette and Nigeria’s Hamilton Class Frigate. 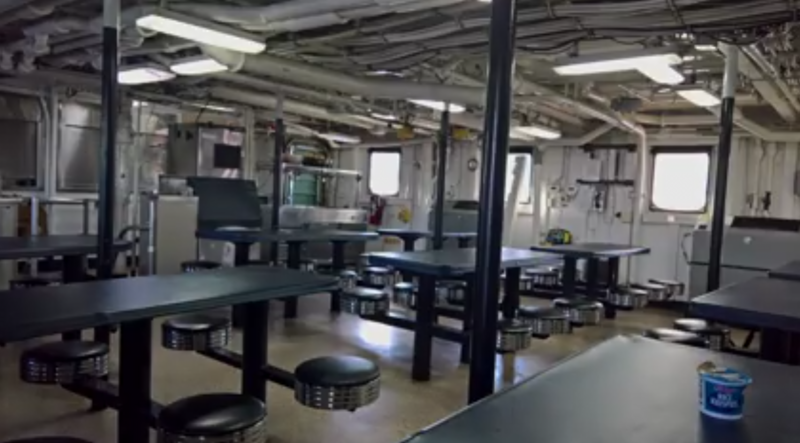 Who Rules? 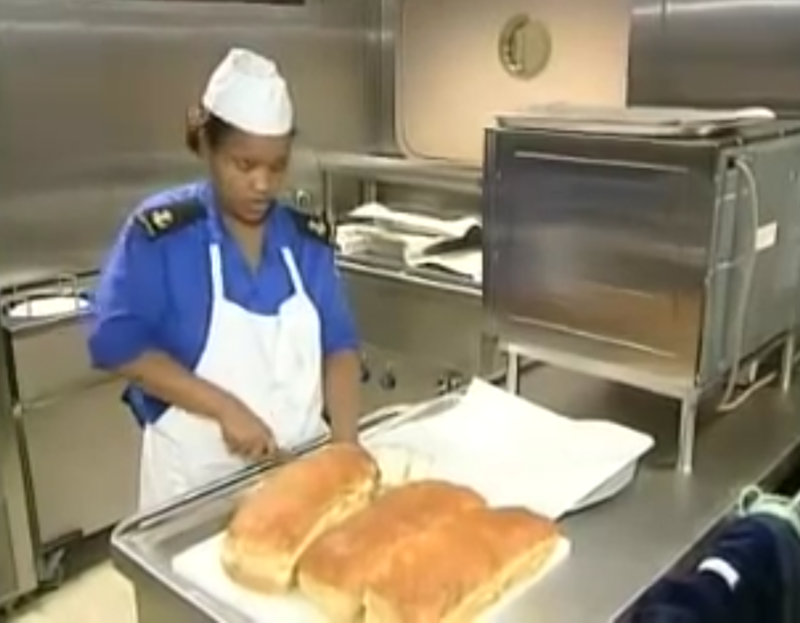 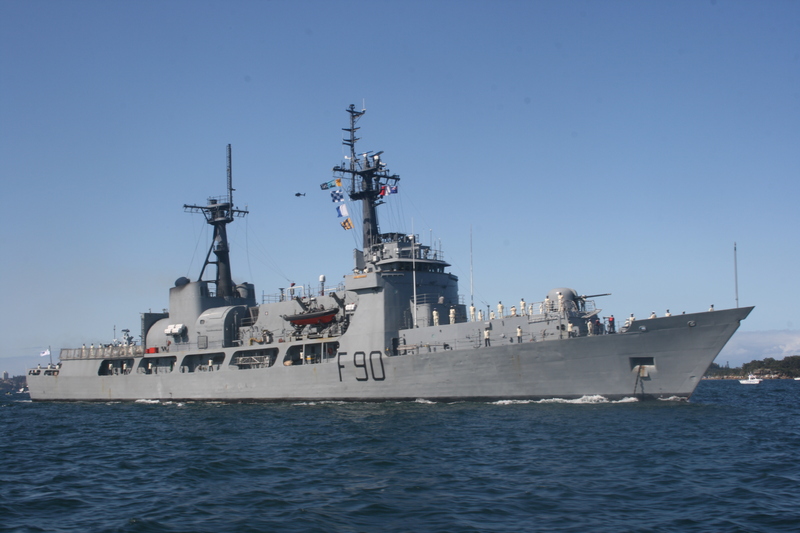 @ South Africa and Nigeria have Sub-sahara Africa’s only blue water navies. 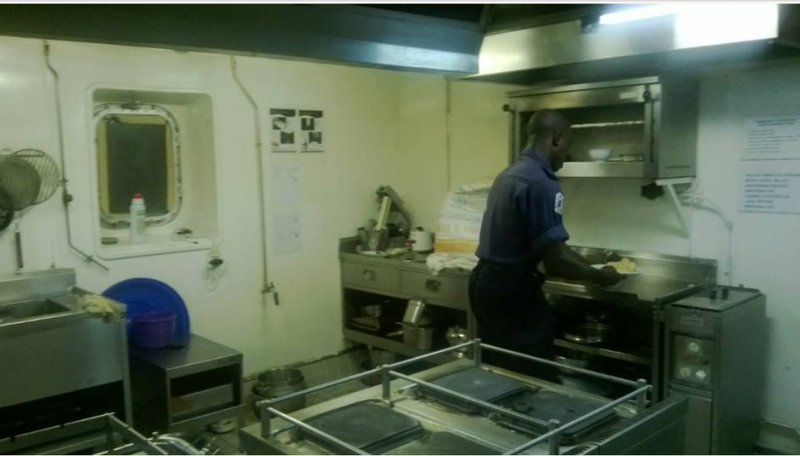 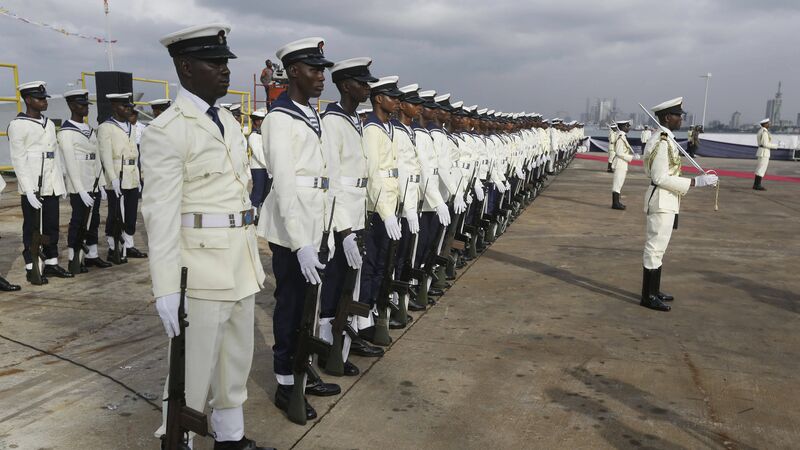 Ship for ship, seaman for seaman, there is no professional navy on the continent that can match the size, training and sophistication of the Nigerian and South African navy. 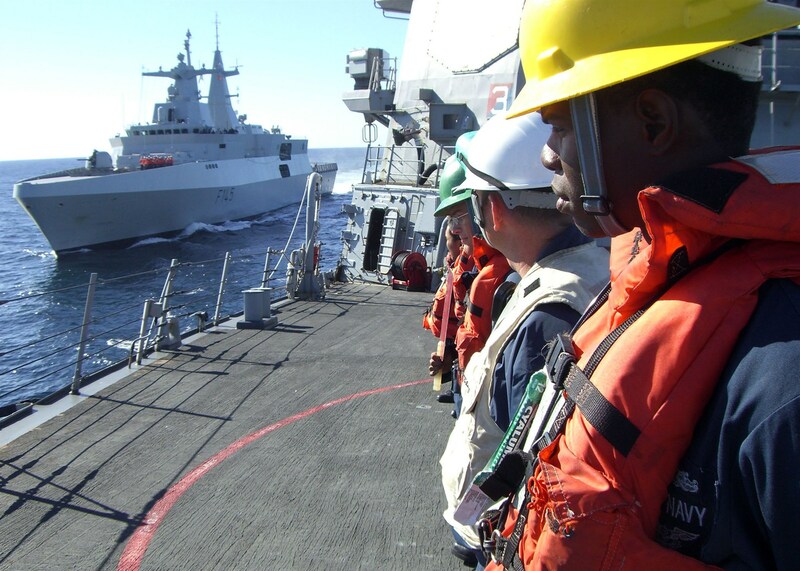 DefenseNigeria examines compares the flagship of both navies; SAS Amatola and NNS Thunder using size, endurance, sophisticatiom and armament as metrics. 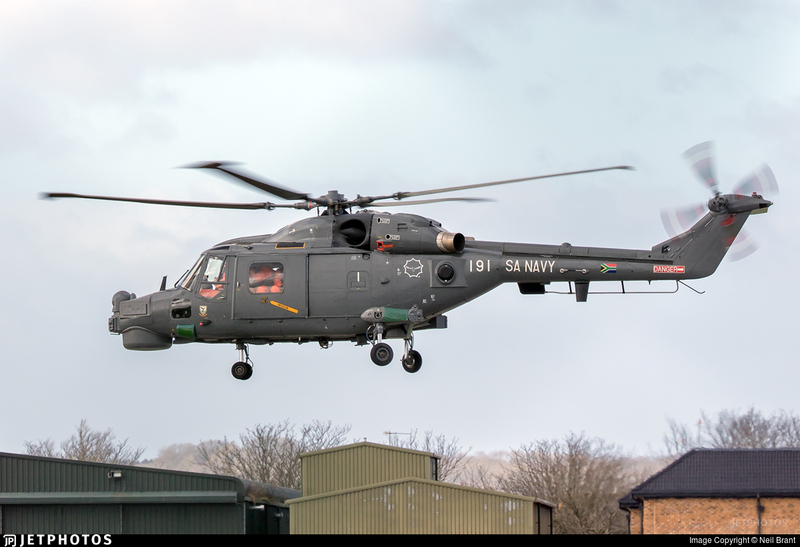 SAS Amatola arrives Portsmonthm UK. 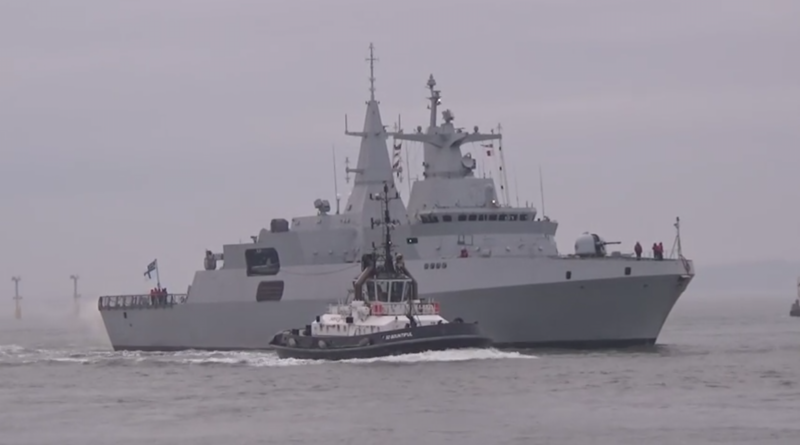 SAS Amatola alongside a U.S Destroyer out at sea. 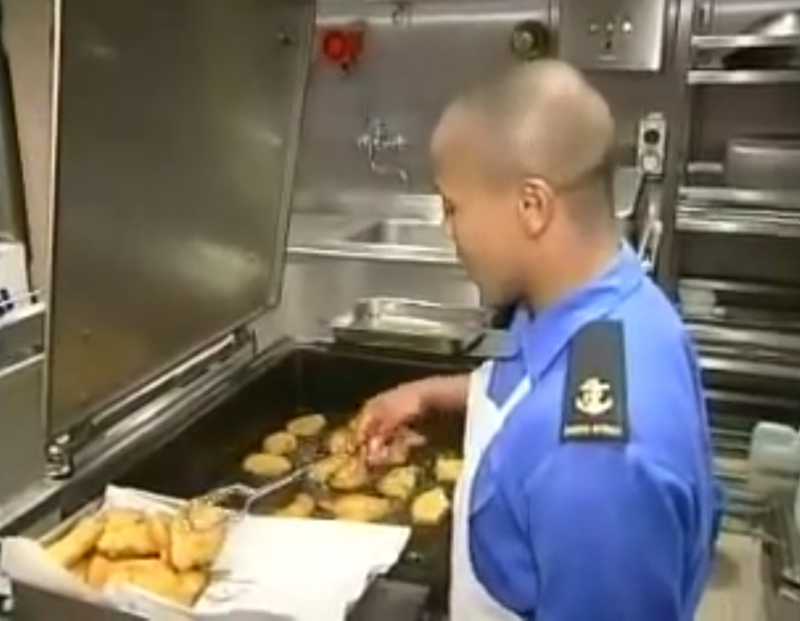 SA Navy flagship SAS Amatola. 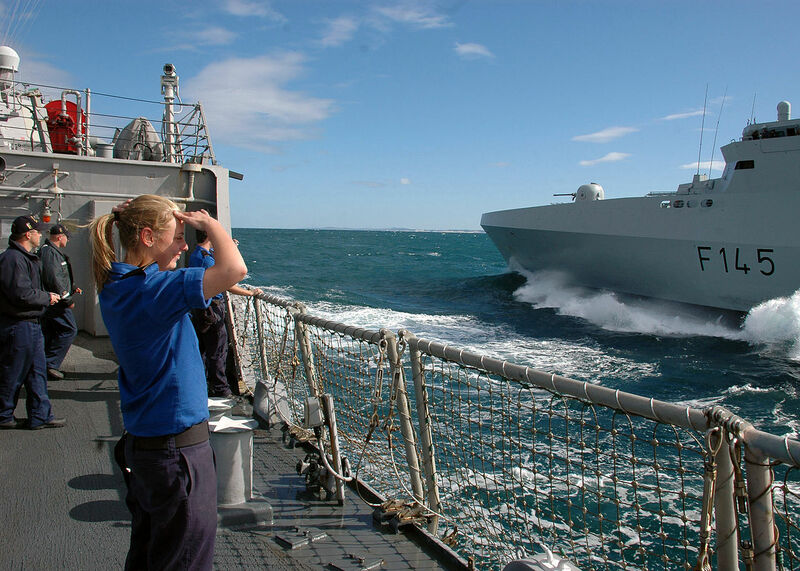 SAS Anatolia being tugged out to sea. 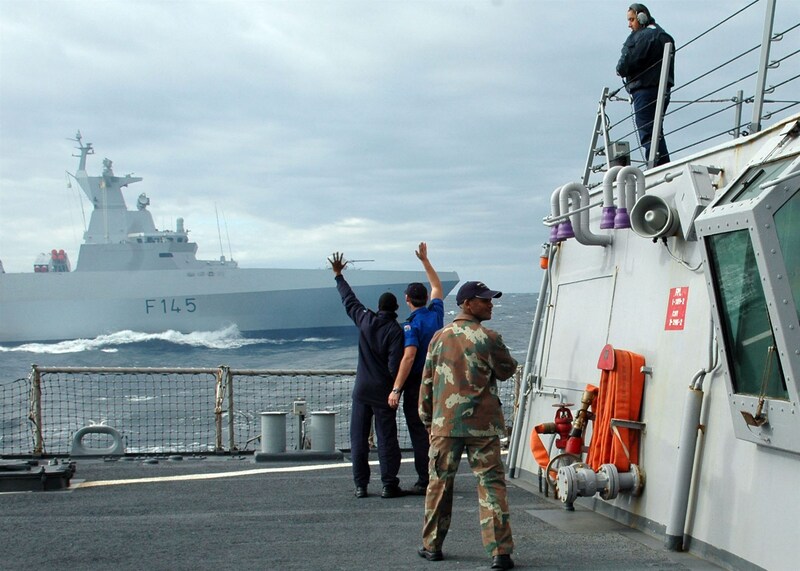 SAS Amatola departs Cape town for the Atlantic. 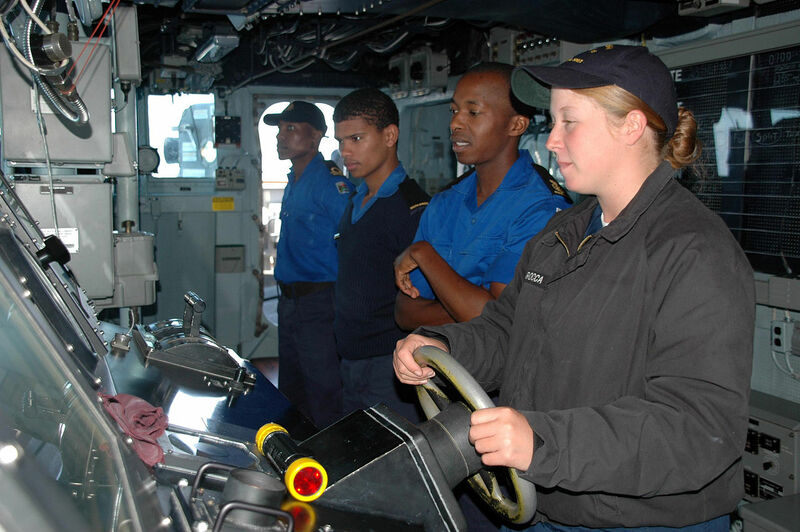 South African Navy Seaman Michella O’Dell watches her native ship, SAS Amatola (F145), come alongside USS Arleigh Burke . 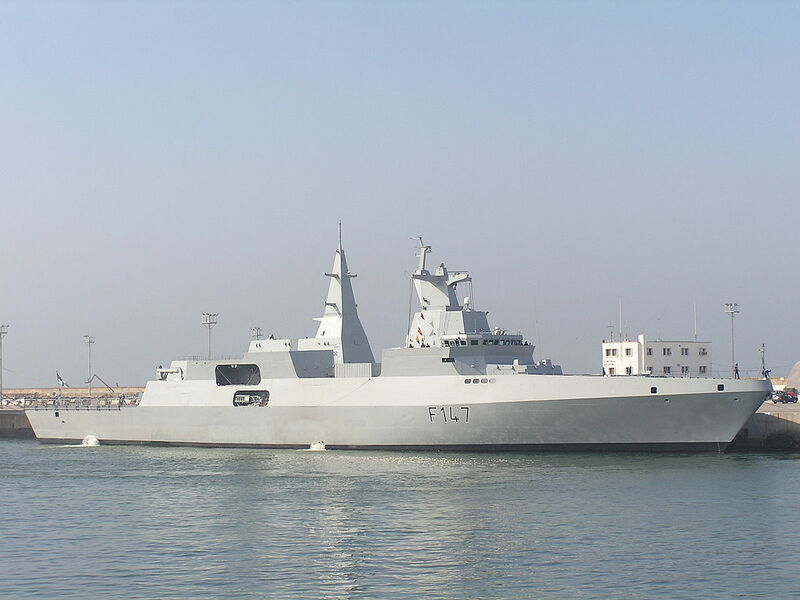 SA Navy Valour Class Corvette. 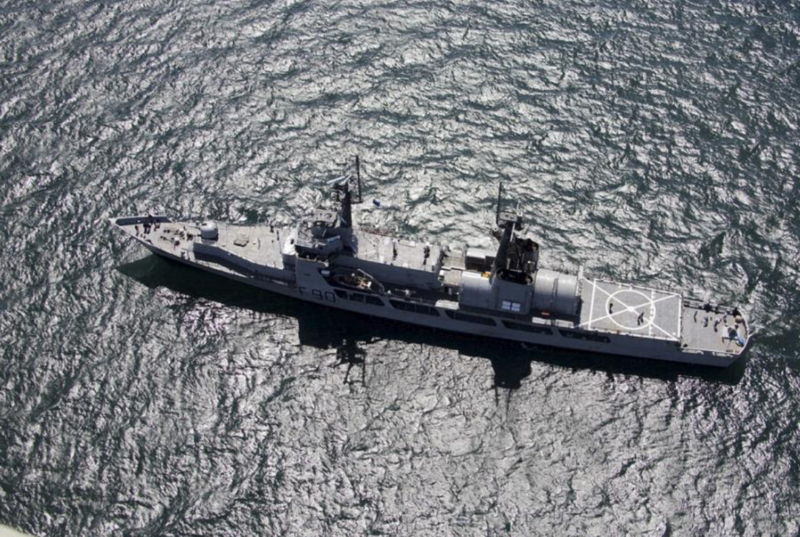 S.A. Navy Corvette SAS Anatolia. 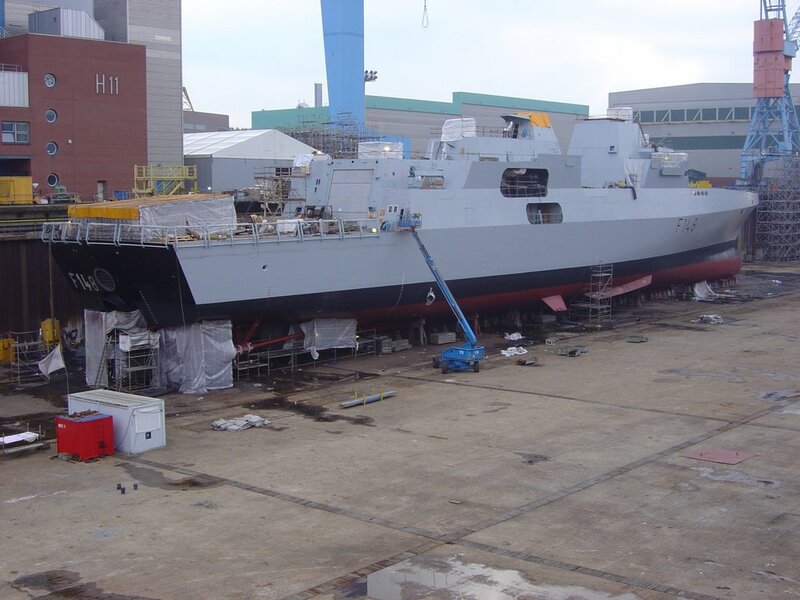 SAS Amatola undergoing repairs at a South African naval dockyard. 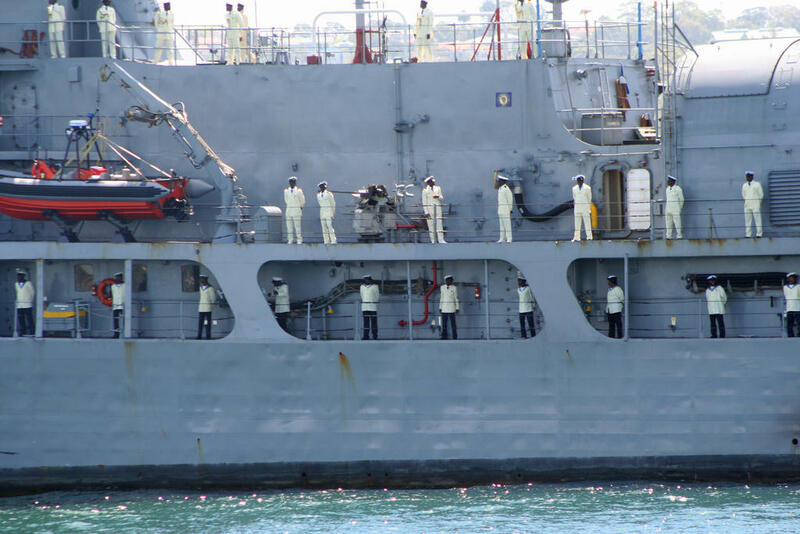 The ships of the Valour class are equipped with an assortment of multi-purpose weapons, each fulfilling a vital role in naval warfare including anti-surface, anti-aircraft and anti-submarine warfare. 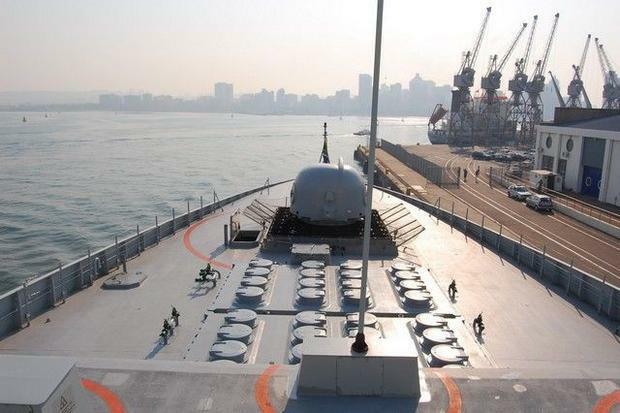 The ships’ primary anti-surface armament is its MM40 Block 2 Exocet anti-ship missile launchers which give them an anti-ship capability with a range in excess of 72 kilometres (45 mi). 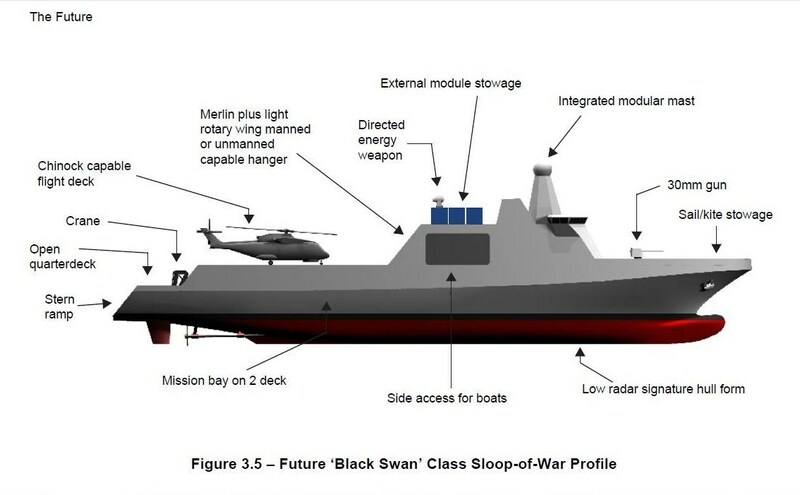 According to the International Institute for Strategic Studies, the Navy is planning to upgrade these missiles to Block 3 standard, giving them an effective range of 180 kilometres (110 mi). 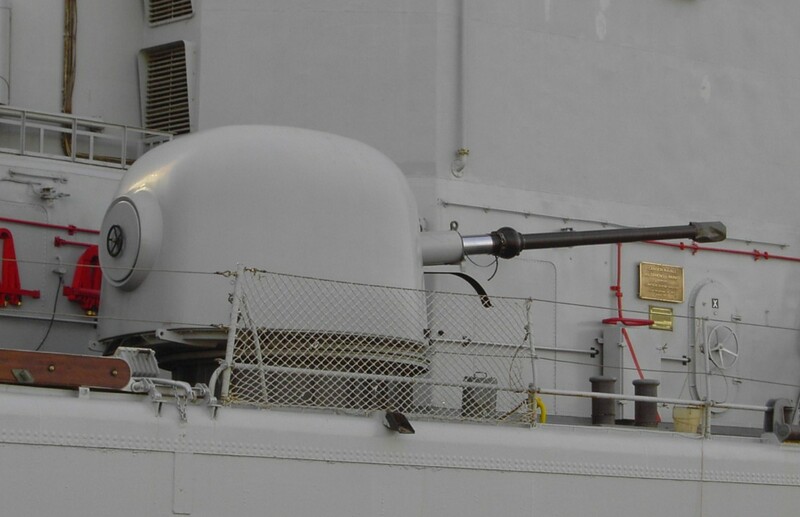 For closer surface threats the ship can use its OTO Melara 76 mm main gun (range of 16–40 km, depending on the type of ammunition utilised). 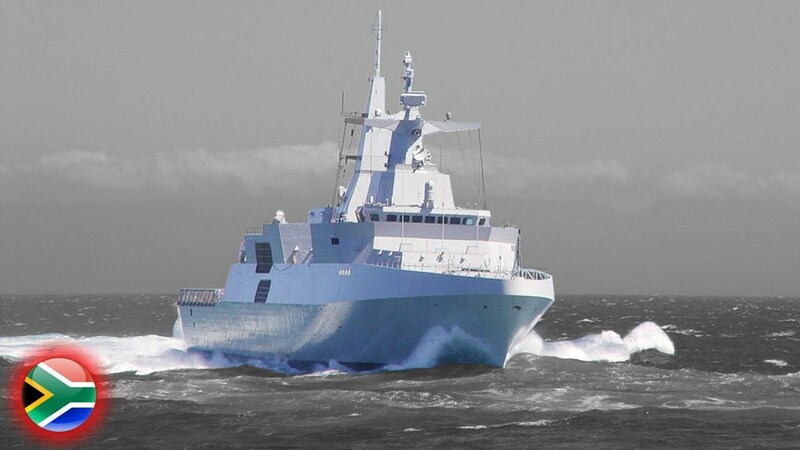 It is also equipped with a twin Denel 35mm Dual Purpose Gun, two Mk1 Oerlikon 20 mm cannons and two 12.7 mm Rogue remotely operated guns to engage surface targets accurately within a 4 km range. 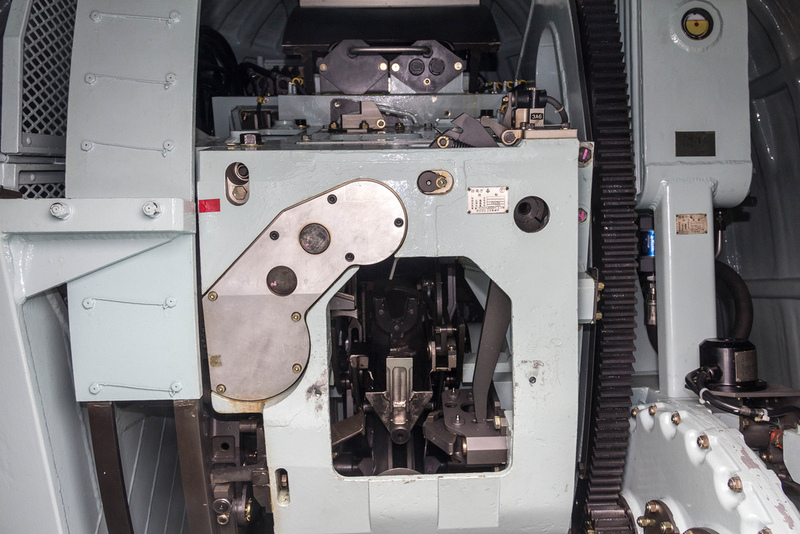 twin Denel 35mm Dual Purpose Gun. 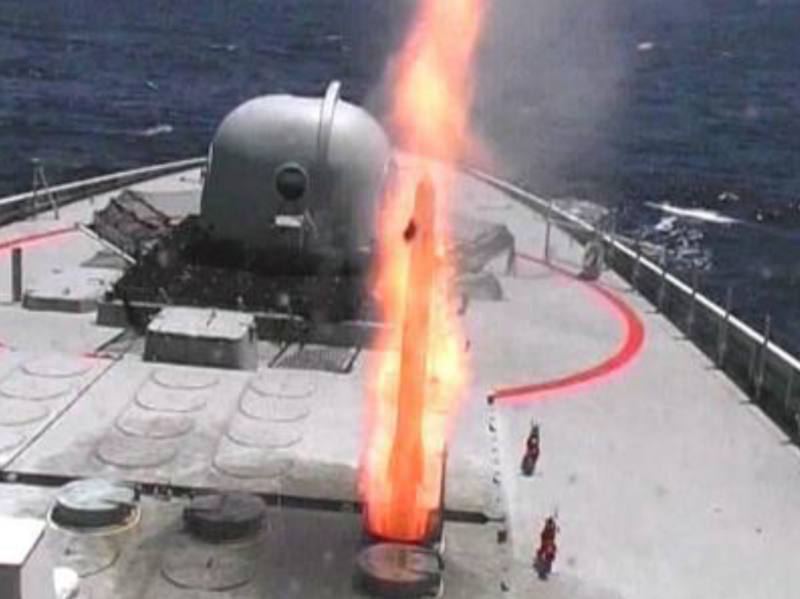 For anti-aircraft and missile defense purposes the frigates are equipped with a 16 to 32 cell Umkhonto-IR Block 2 VLS, which is capable of engaging aerial targets at a range of 15 kilometres (9.3 mi). 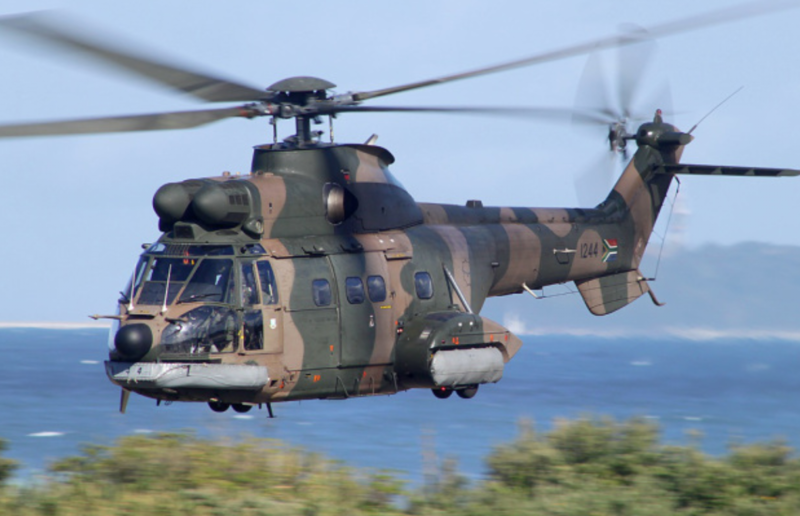 Weaponry : Advantage South Africa. 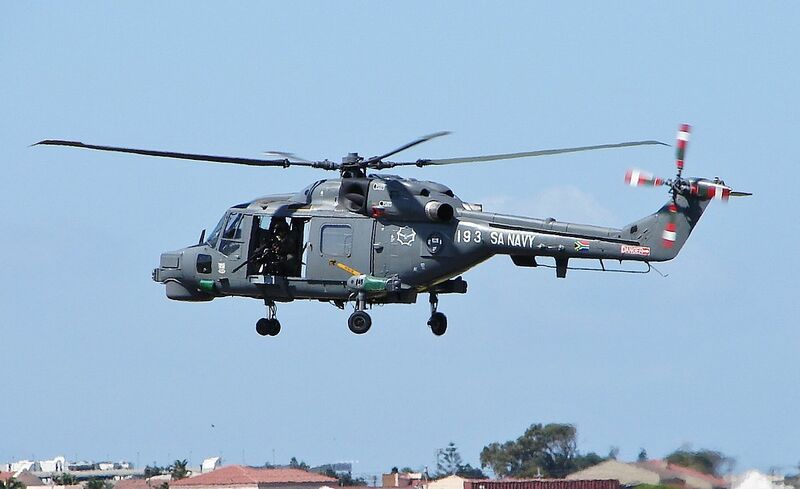 S.A. Navy Super Lynx 300 MK64 ASW helicopter. 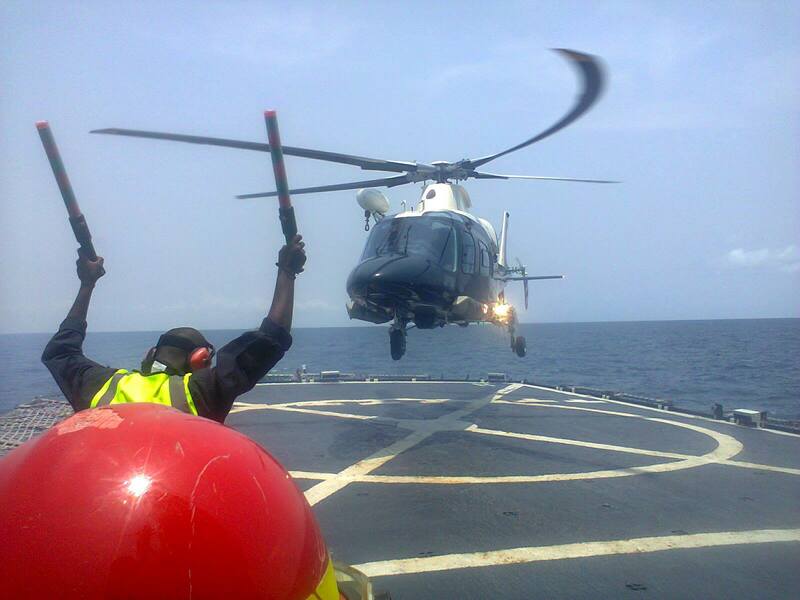 S.A. Navy Super Puma helicopter. 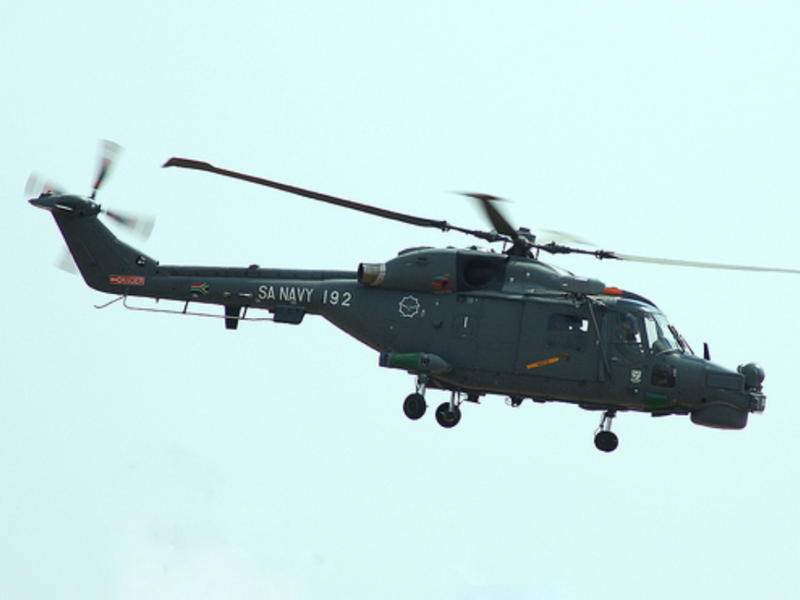 SAN Super Lynx ASW helicopter. 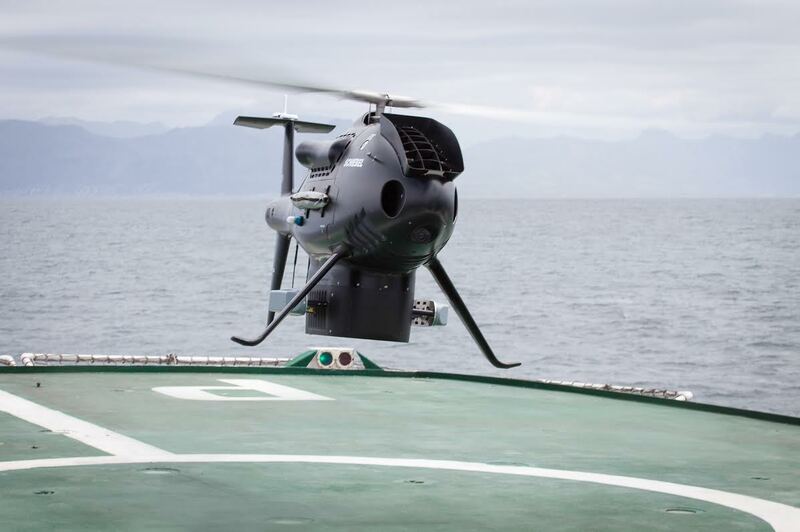 SAN Camcopter S-100 during test flights for the South African navy. 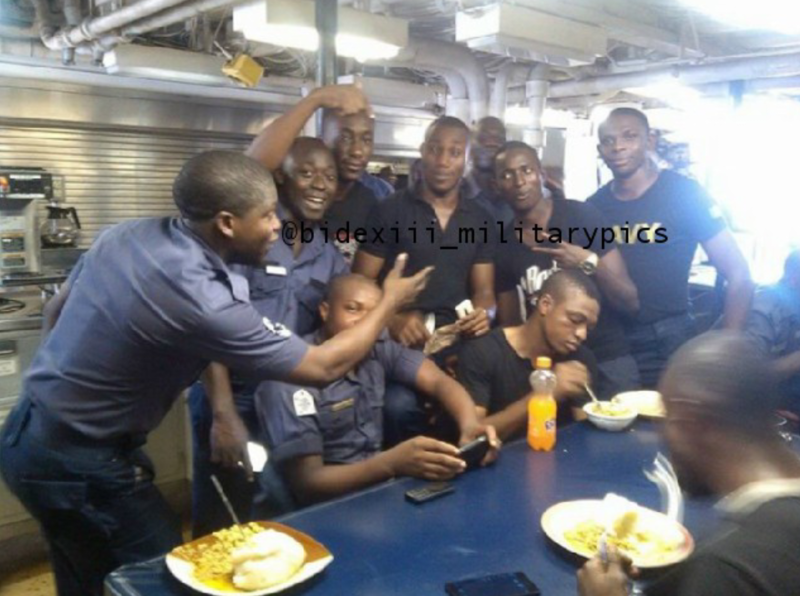 Nigerian Navy flagship NNS Thunder entering Sydney harbour. 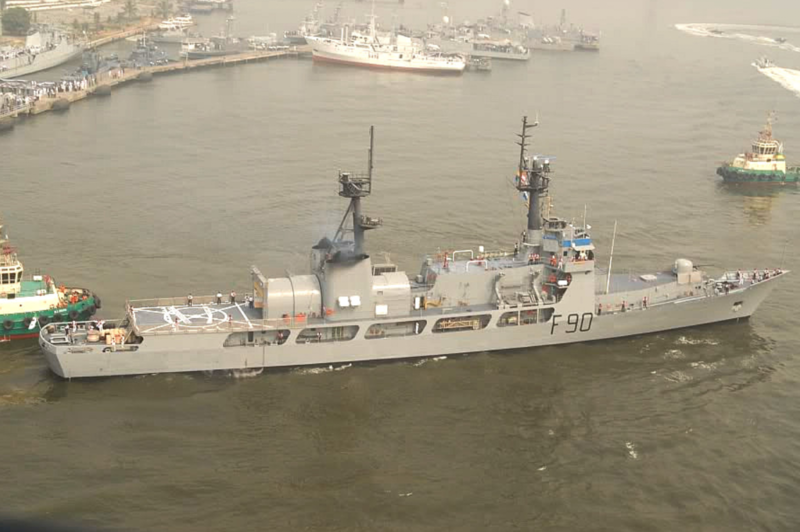 NNS Thunder departs Lagos harbor for Australia. 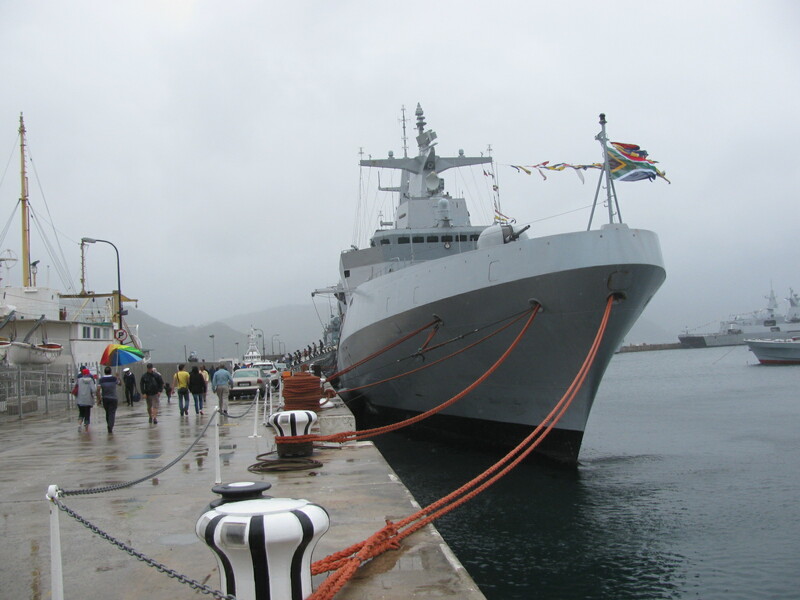 NNS Thunder makes port-call in South Africa. 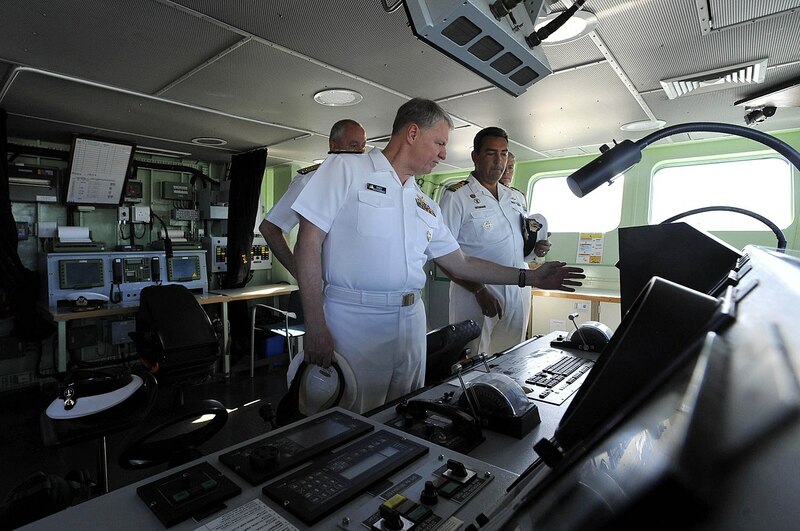 NNS Thunder transits the Indian Ocean on her way to Australia for the International Fleet Review. 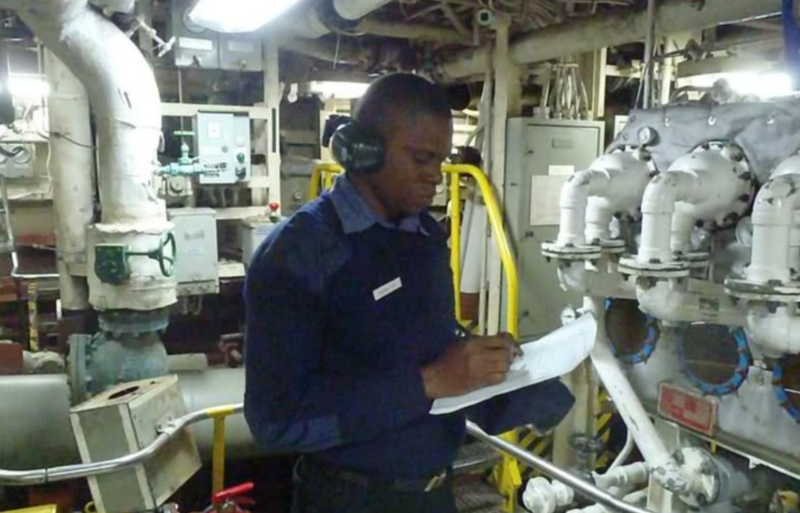 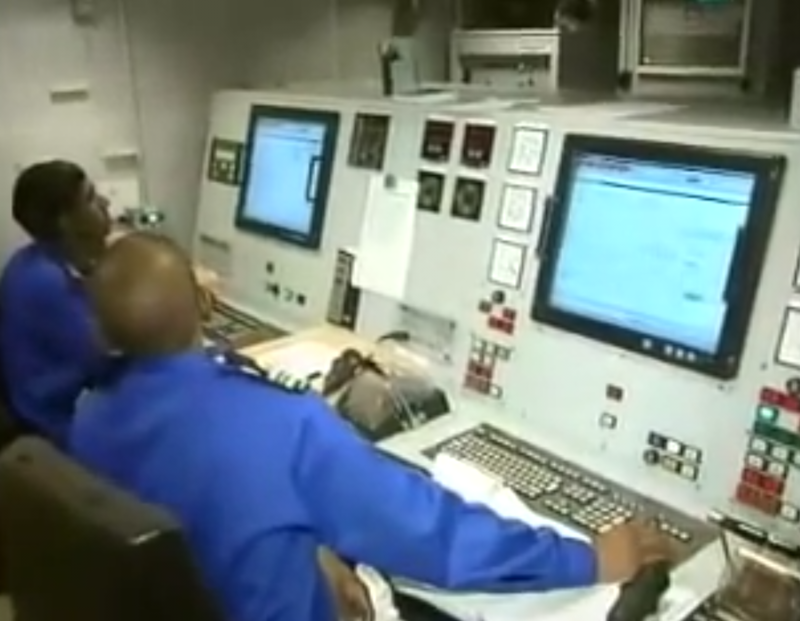 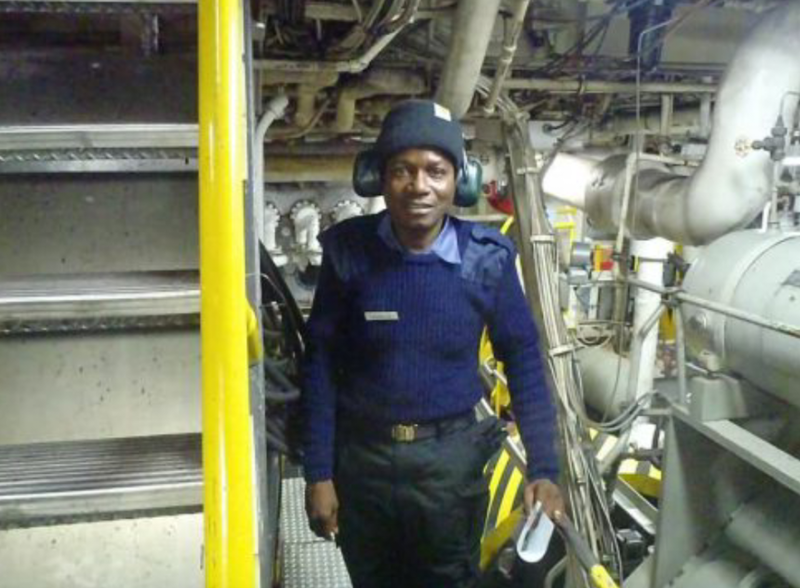 On board engineer monitoring the boiler room on the 24,000 kilometres voyage. 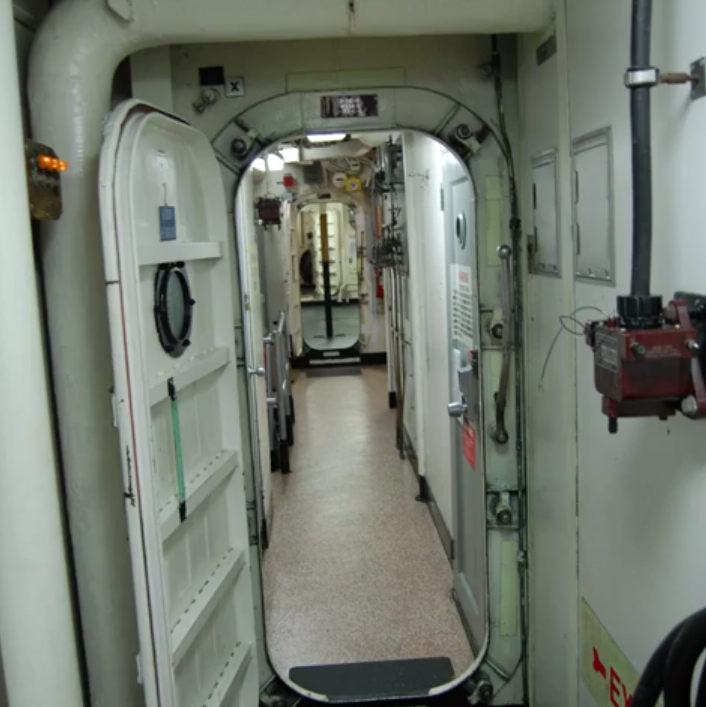 The ex Hamilton Class Frigate is powered by both diesel and steam turbines. 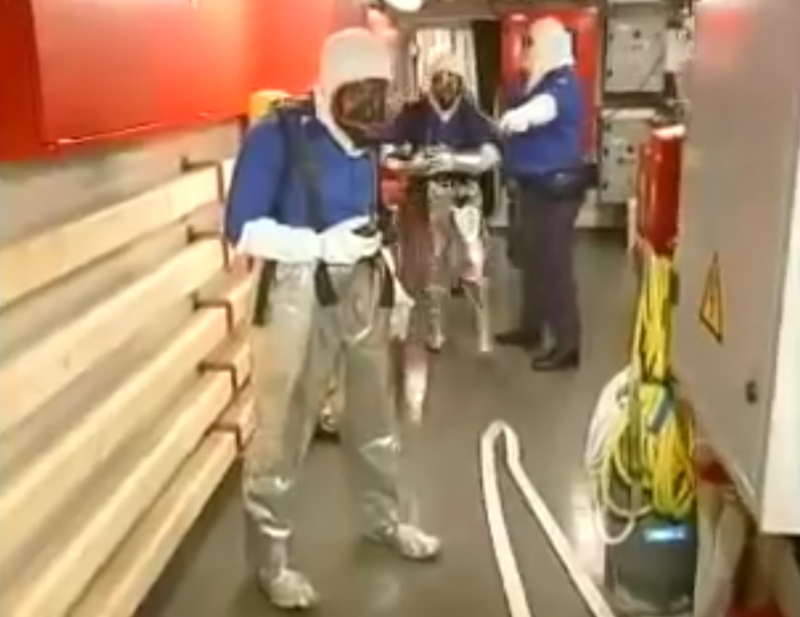 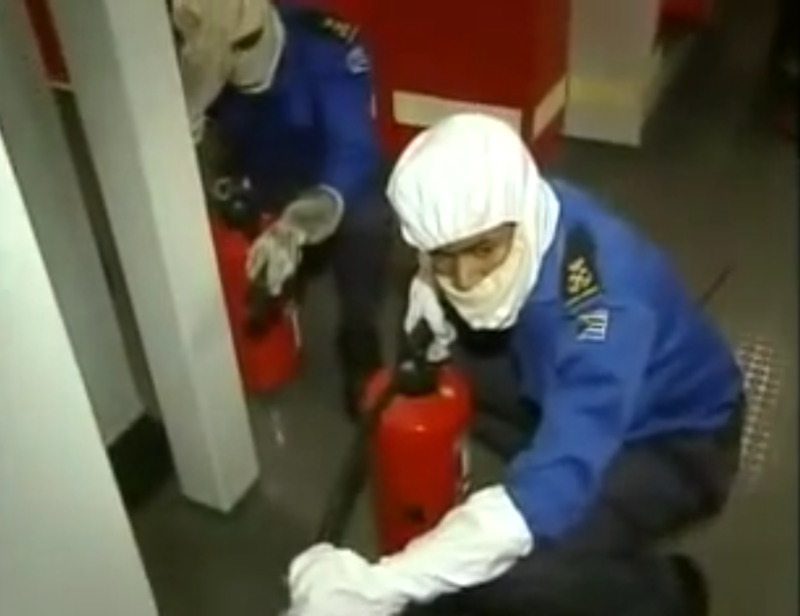 Crew on-board NNS Thunder conducting fire drills. 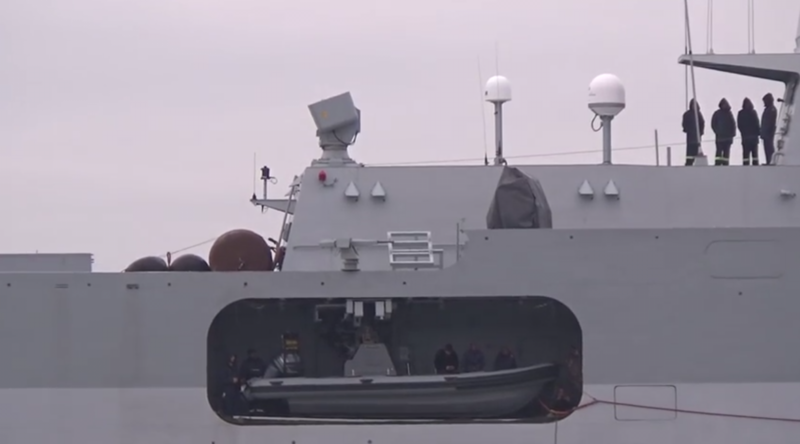 NNS Thunder is presently without a dedicated anti ship or air defence missile system. 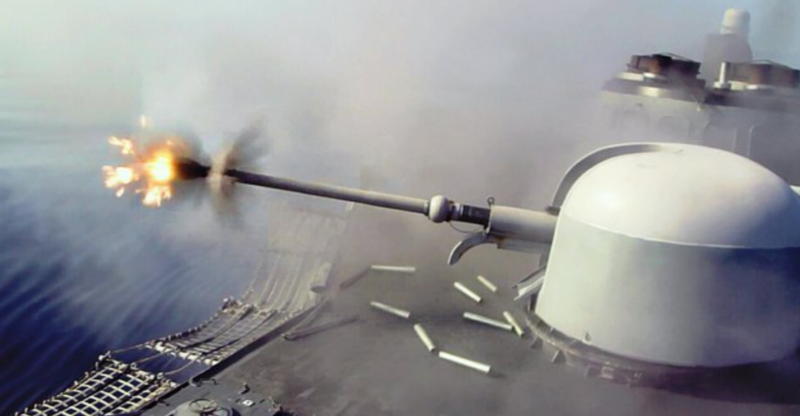 The ship was stripped of all Harpoon anti ship missiles when it was delivered by the U.S Navy, as a result ship relies on air defence and pretty much everything on two side mounted 76 “6 rapid gun turret, two MK 38 25 mm machine gun and one deck mounted 76 mm naval guns as its primary offensive armament. 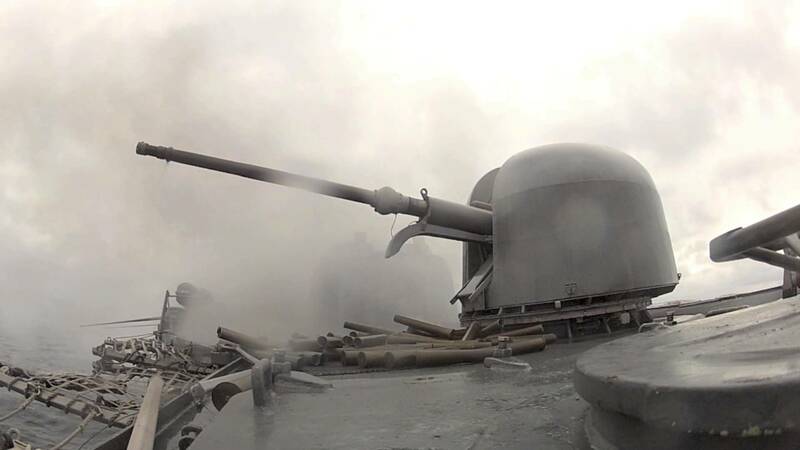 Oto melara 76 mm naval gun. 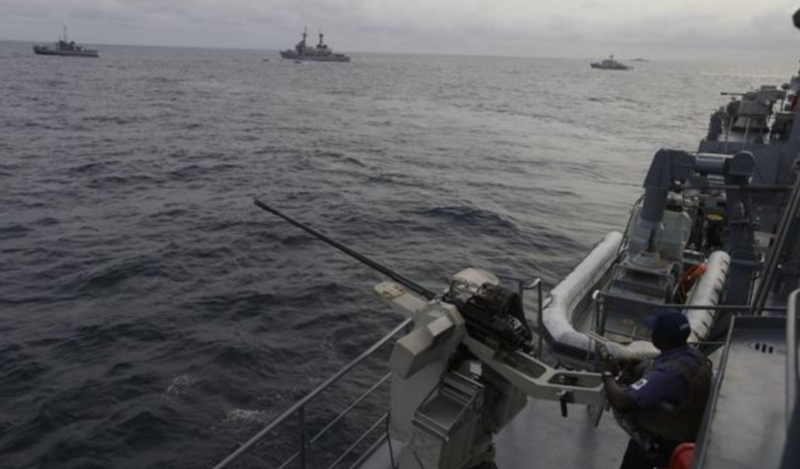 A navy gunner mounts a MK 38 25 mm machine gun. 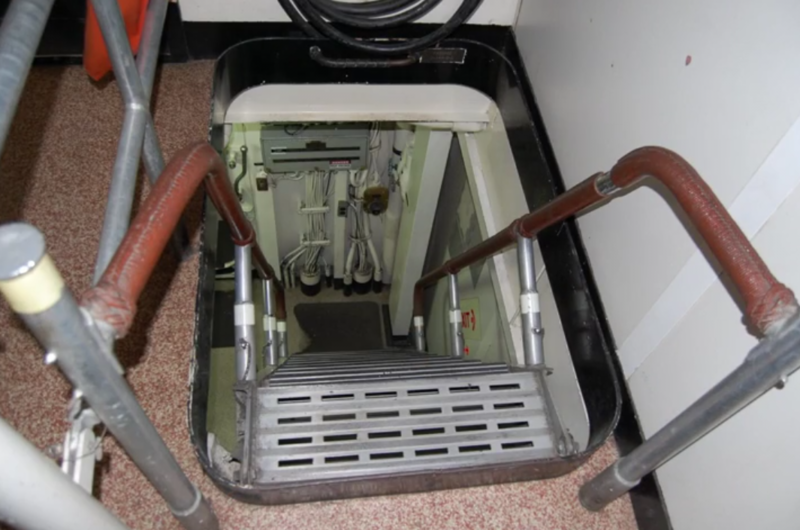 Oto-Melara 76 mm/62-calibre gun aboard NNS Thunder. 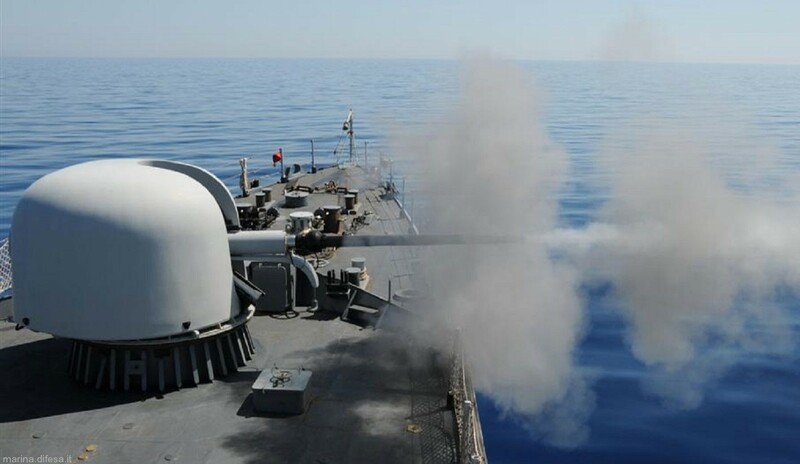 Oto-Melara 76mm (3-inches) 62-caliber Super Rapid gun is a lightweight, automatic loading, rapid fire naval gun system used against shore, sea and air targets. 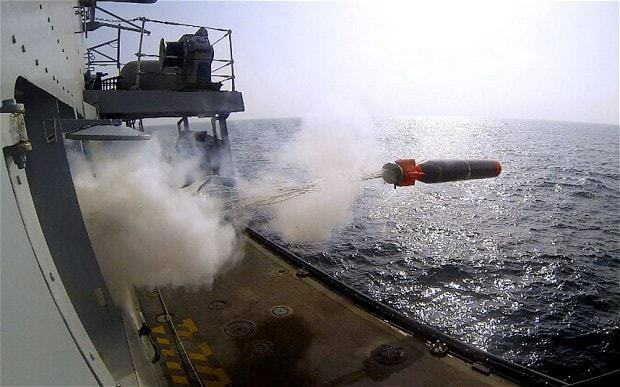 The high explosive shell has an effective range of 18 km. 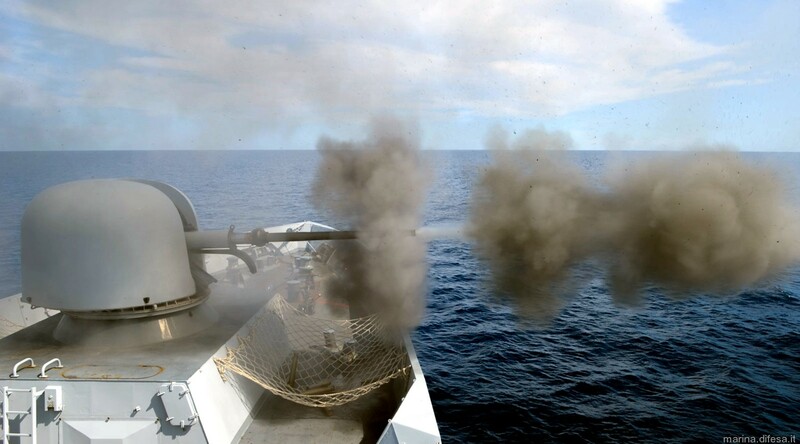 Oto-Melara 76 mm/62-calibre gun fires a high explosive fragmentation shell. 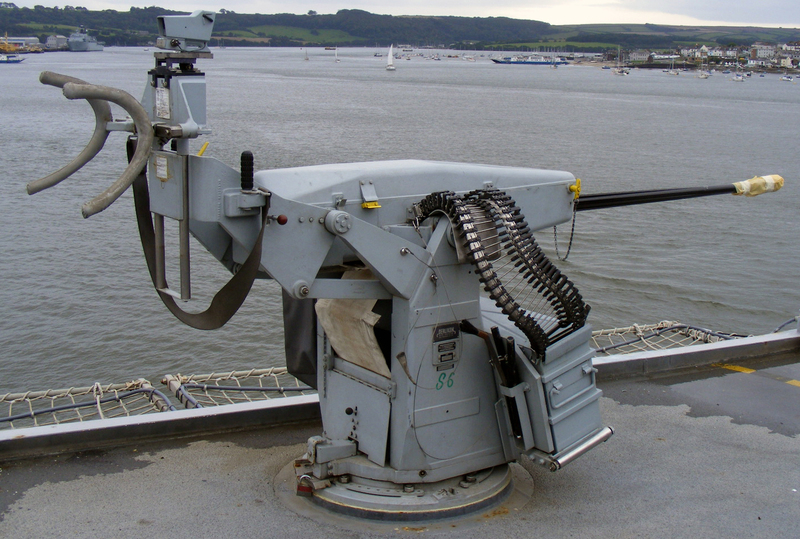 The gun’s high rate of fire and availability of specialised ammunition make it well-suited to varied roles such as short-range anti-missile point defence, anti-aircraft, anti-surface, and ground support. 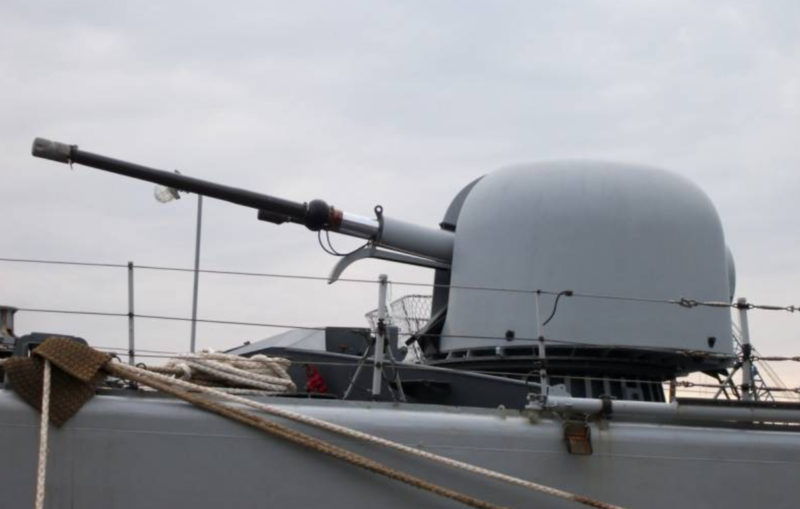 The gun’s high rate of fire and availability of specialised ammunition make it well-suited to varied roles such as short-range anti-missile point defence, anti-aircraft, anti-surface, and ground support. 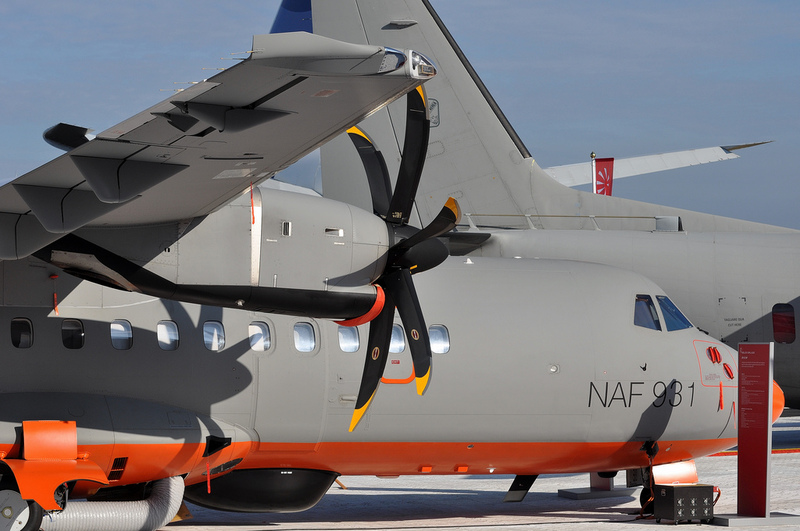 AIRCRAFTMaritime patrol / reconnaissance aircraft are crucial for nations with long coastlines. 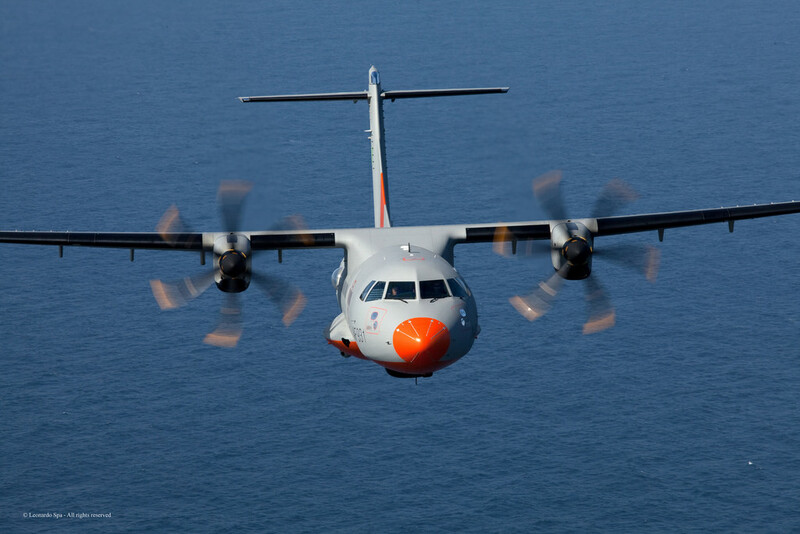 The AtR-42 is a long-range maritime patrol aircraft (MPA) with multimission capabilities. 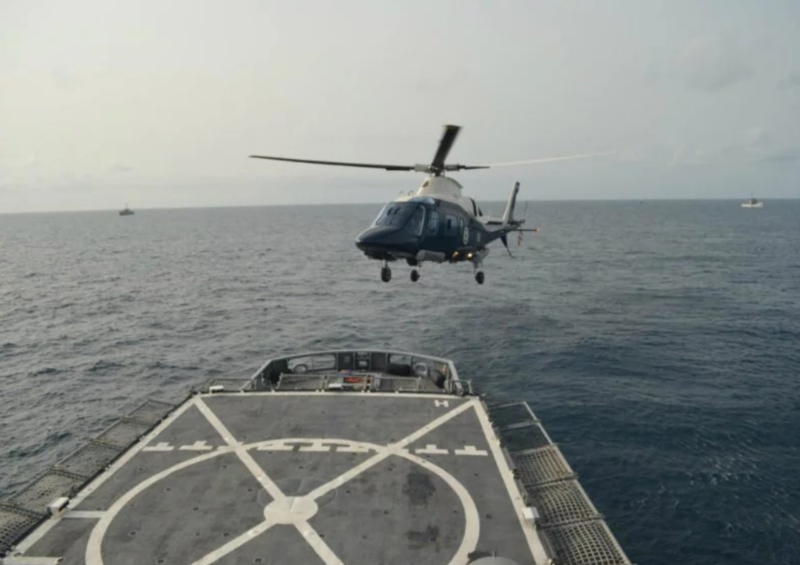 The aircraft has a ferry range of 4,741km and can conduct non-stop patrols for up to 11 hours. 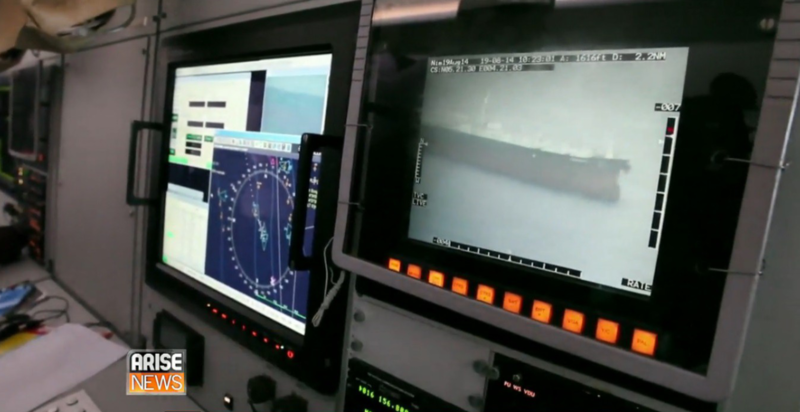 It integrates Advanced Tactical Observation System (ATOS) mission management system. 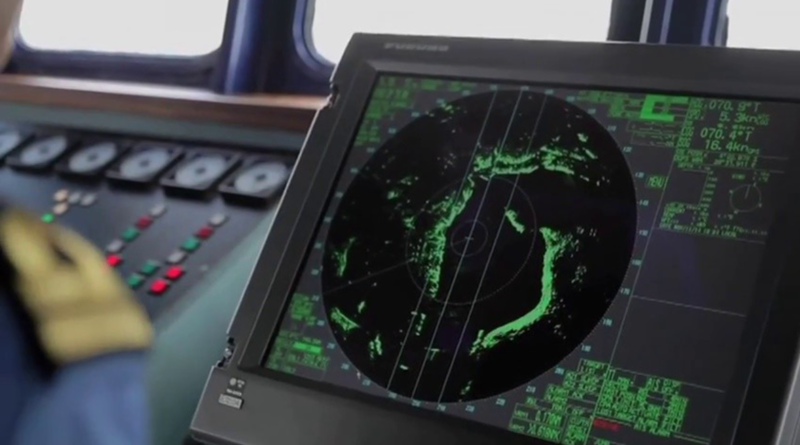 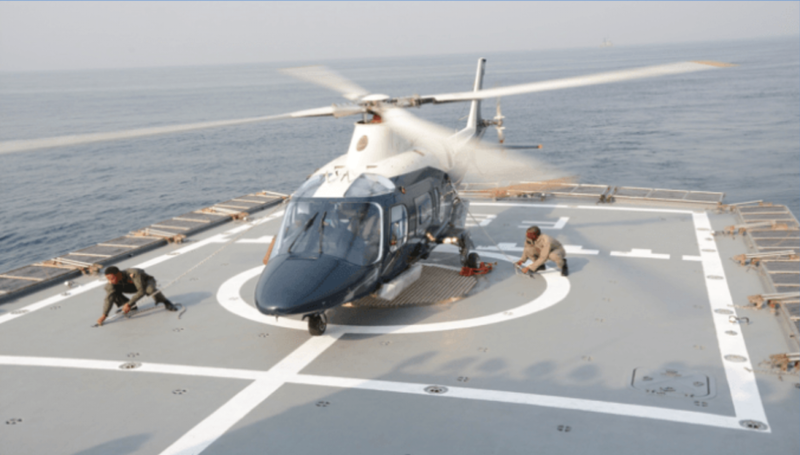 The state-of-the-art mission system, along with onboard sensors, enables the aircraft to conduct a variety of missions, such as identification and tracking of vessels, maritime and coastal surveillance, SAR and pollution detection missions. 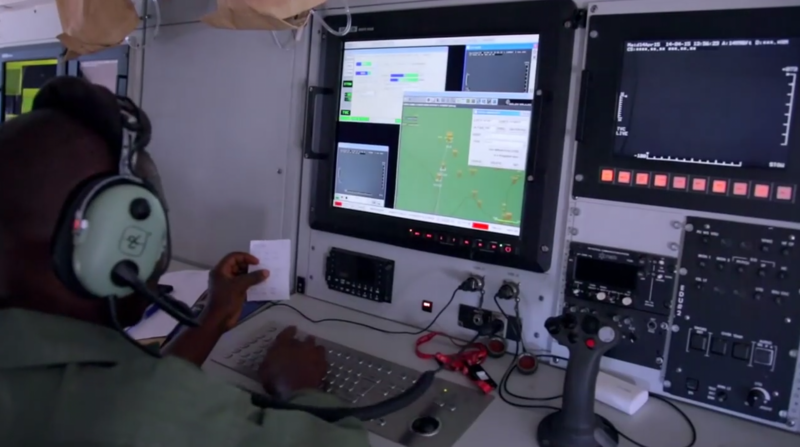 Its 11-hour fly-time and high ferry range of 4,741 km make it the top Maritime Patrol Aircraft in Africa. 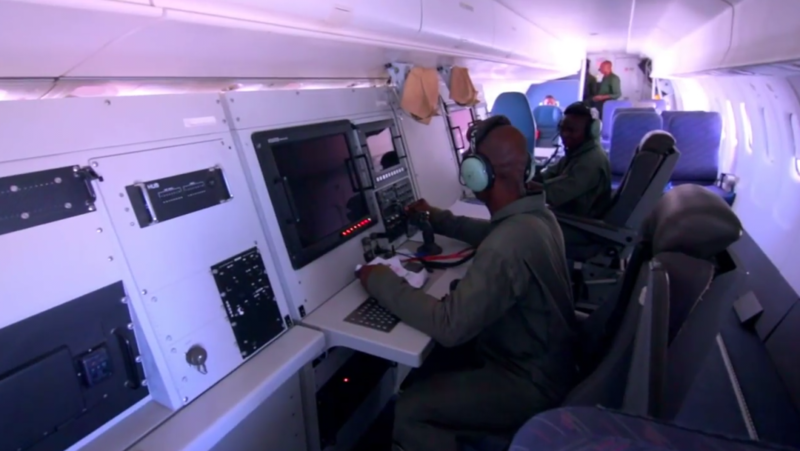 Nigerian Navy ATR-400 maritime patrol plane. 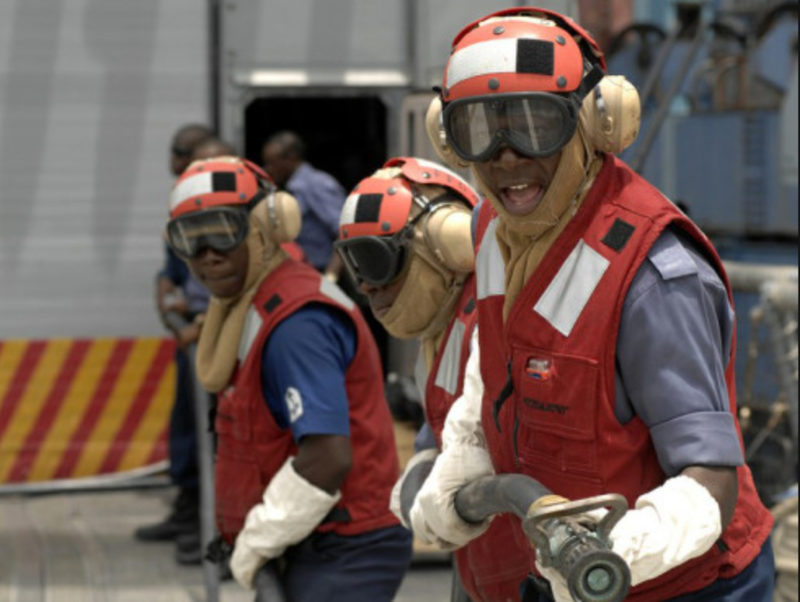 Crew of the ATR-42 Maritime patrol plane. 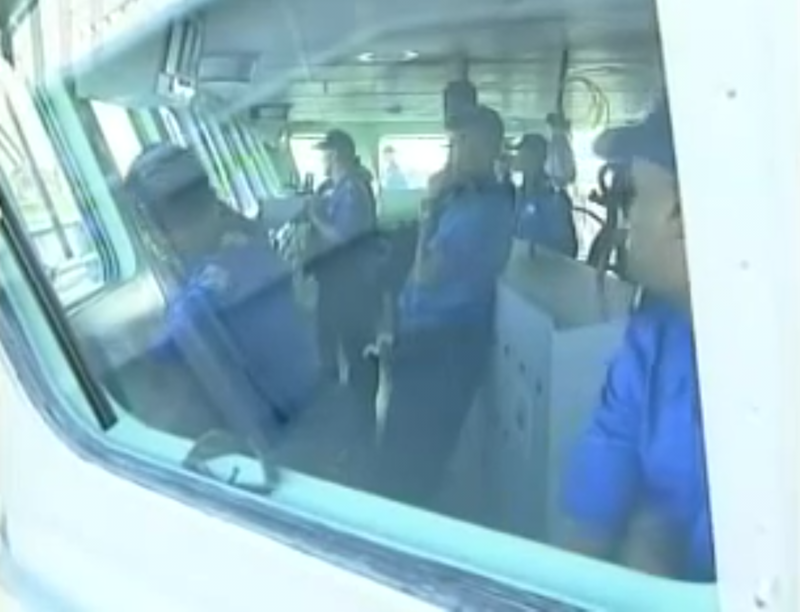 The ATR MP is packed with sophisticated sensors Tactical Observation System. 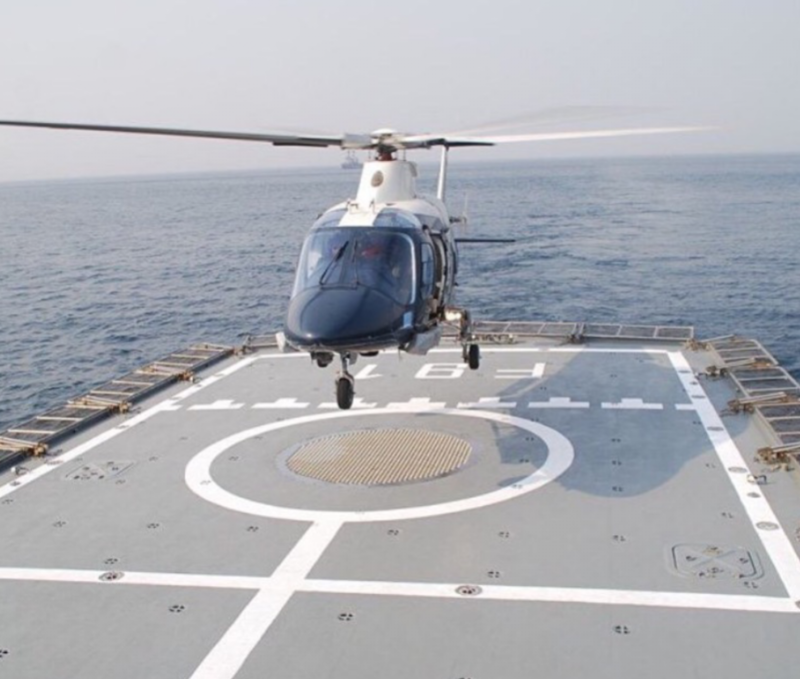 Augusta Westland ASW capable helicopter about to land on the deck of NNS Thunder. 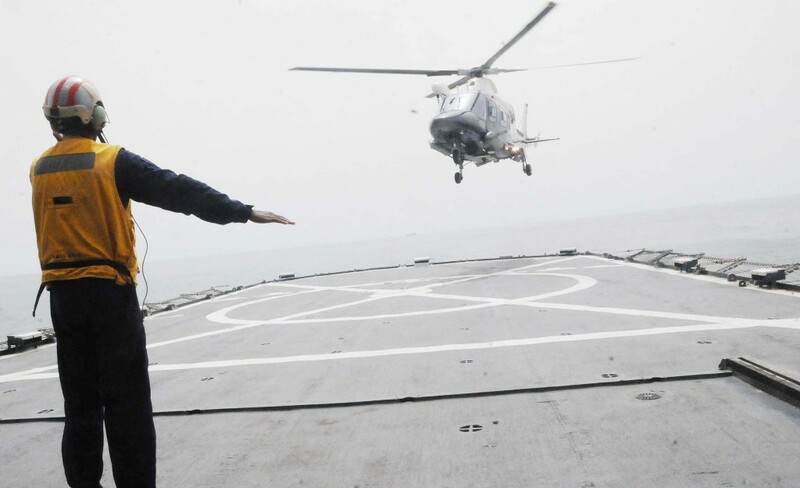 Deck crew directs the landing of an Augusta Westland helicopter on NNS Thunder. 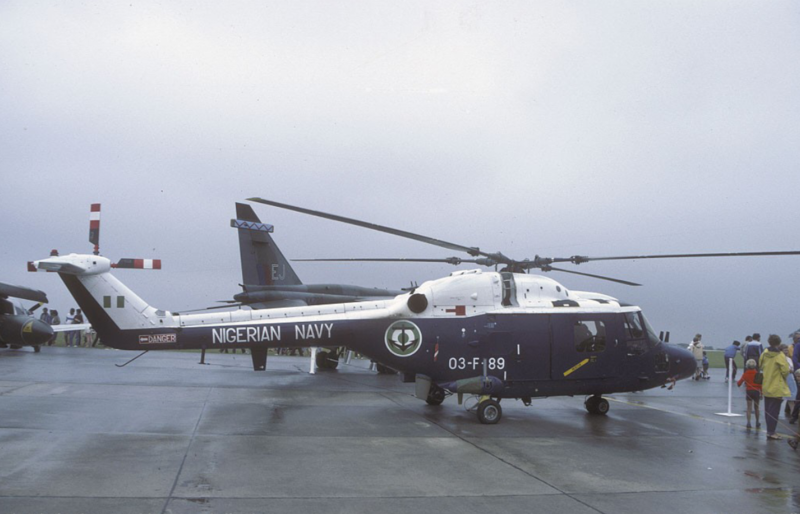 Nigerian Navy AW101 helicopter . 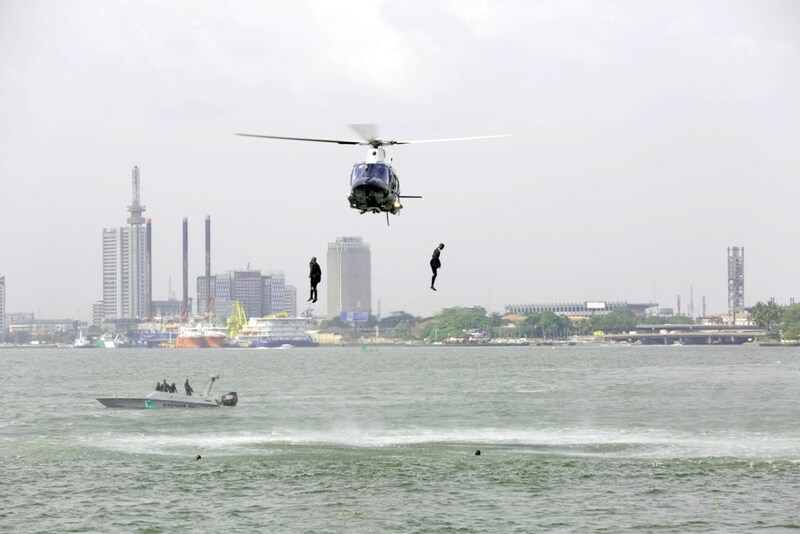 Nigerian Navy SBS Commandoes jump from an AW109 helicopter during a training exercise. 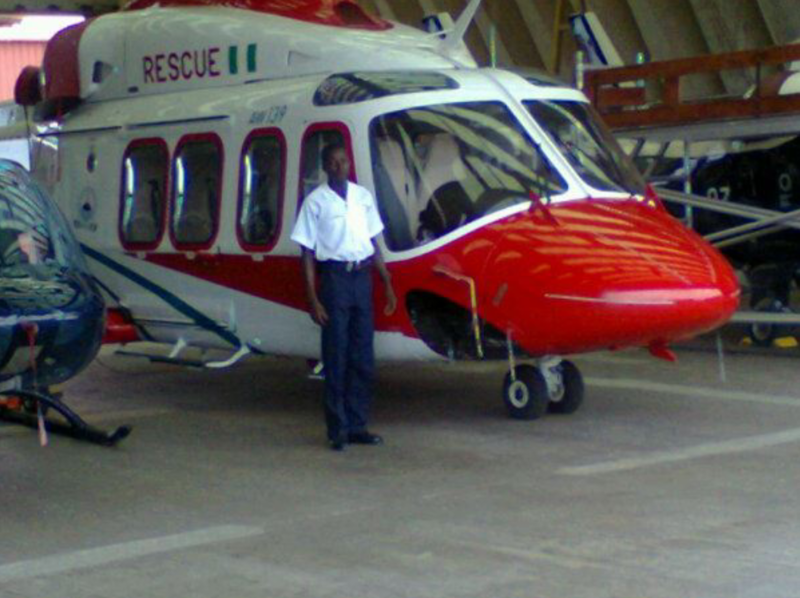 NN AW109 Search and Rescue helicopter. 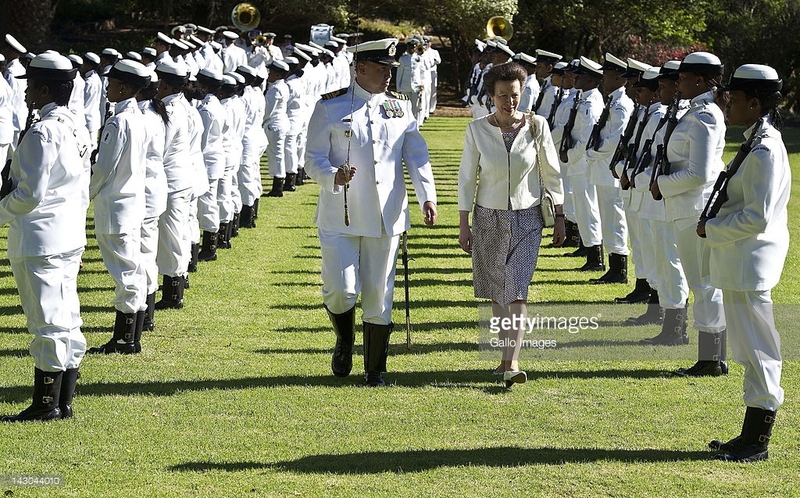 Armament : Advantage South Africa. 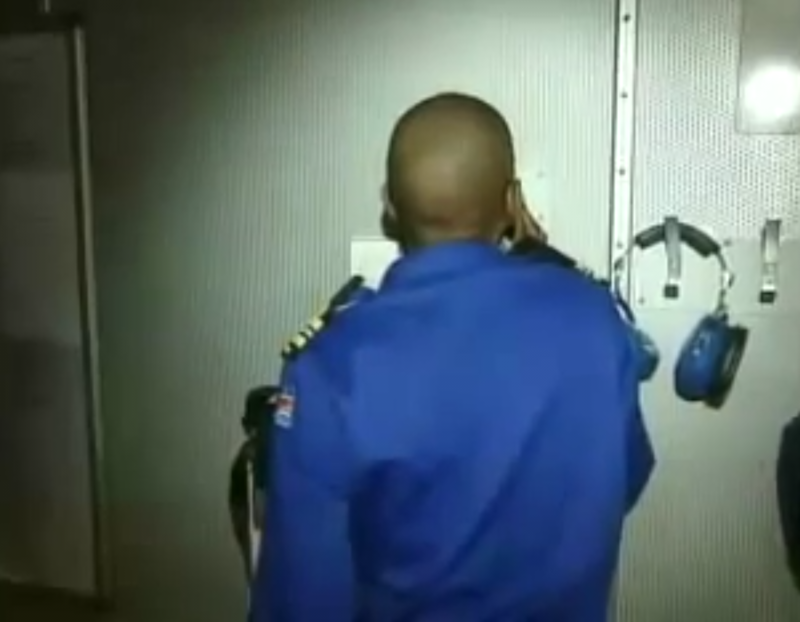 Sophisticated : Advantage South Africa. 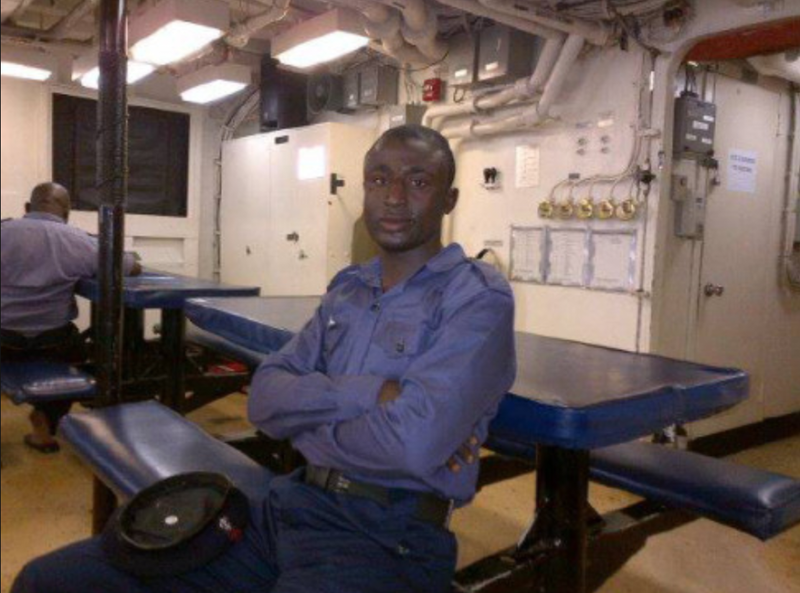 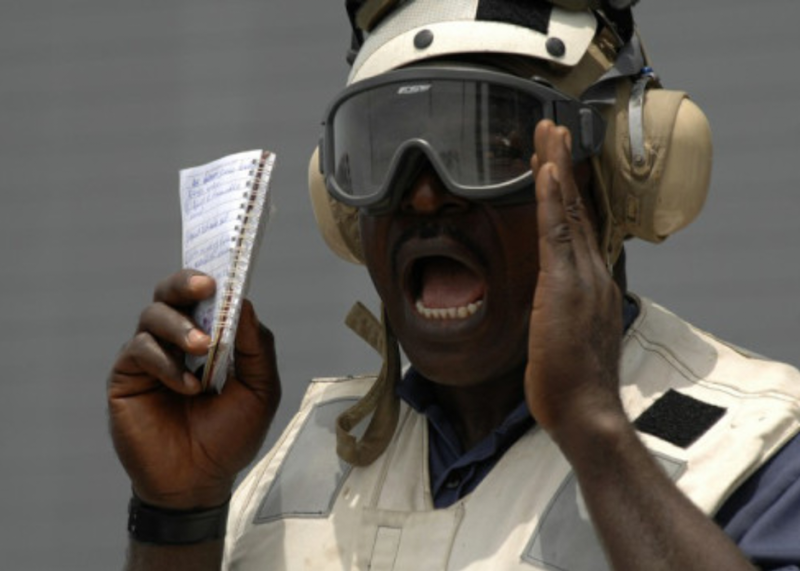 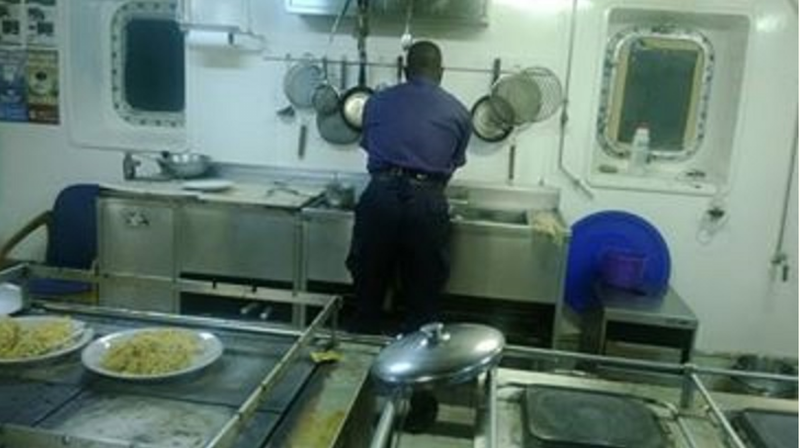 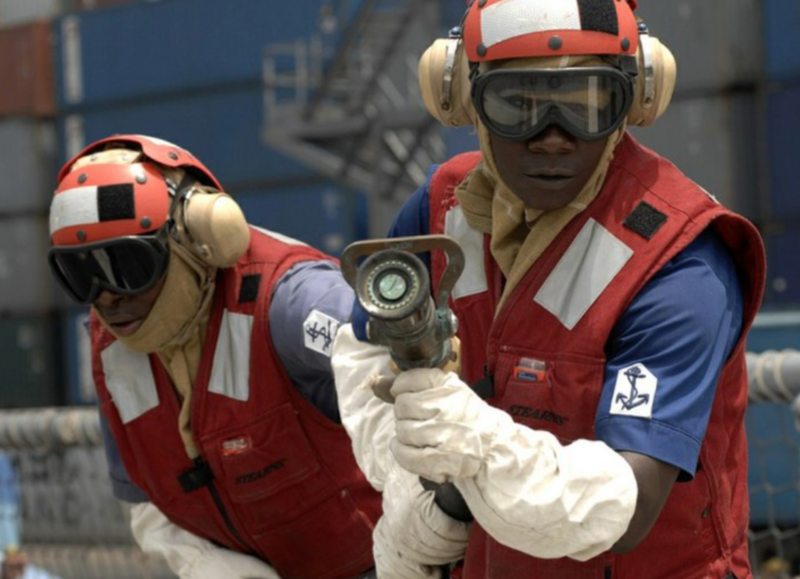 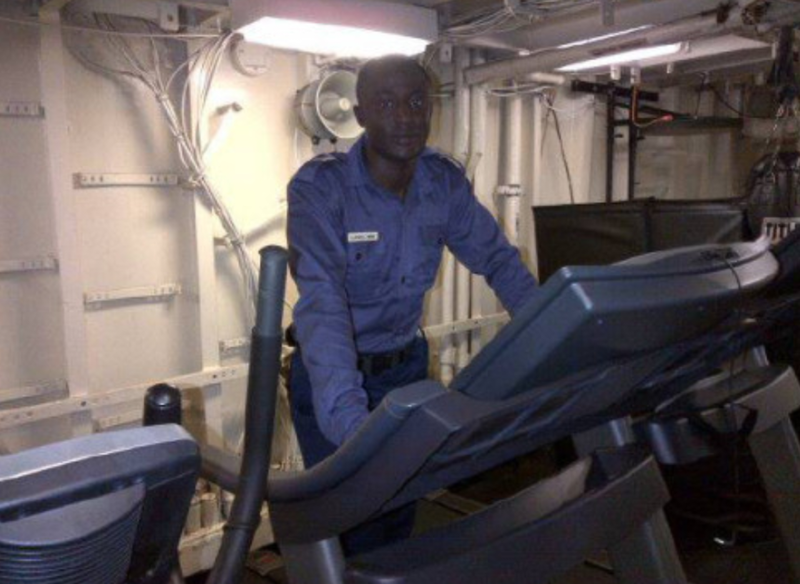 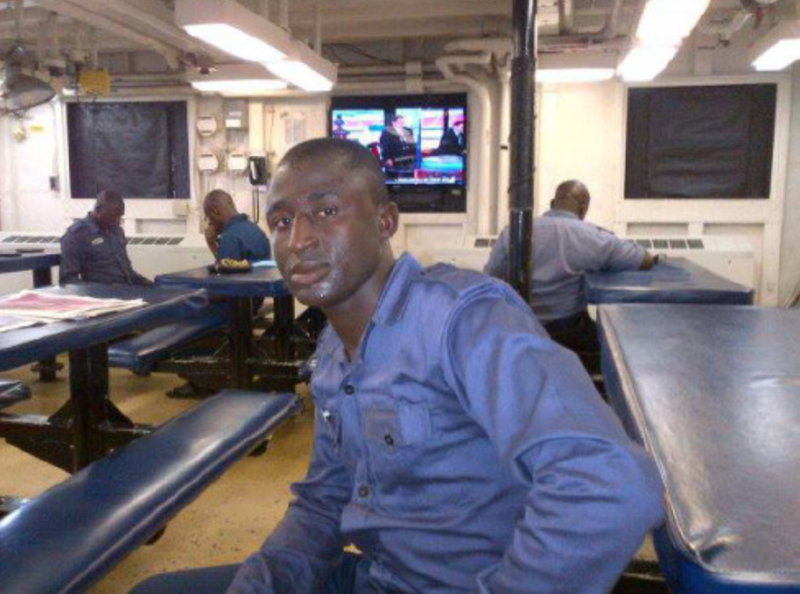 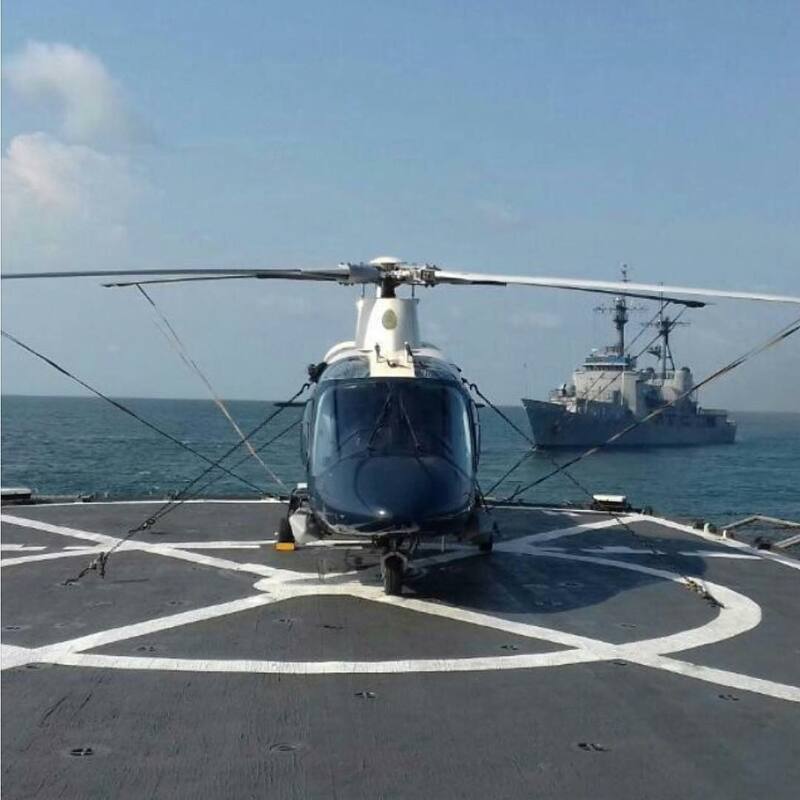 Previous Post Previous post:Nigeria Navy needs a Coast Guard. 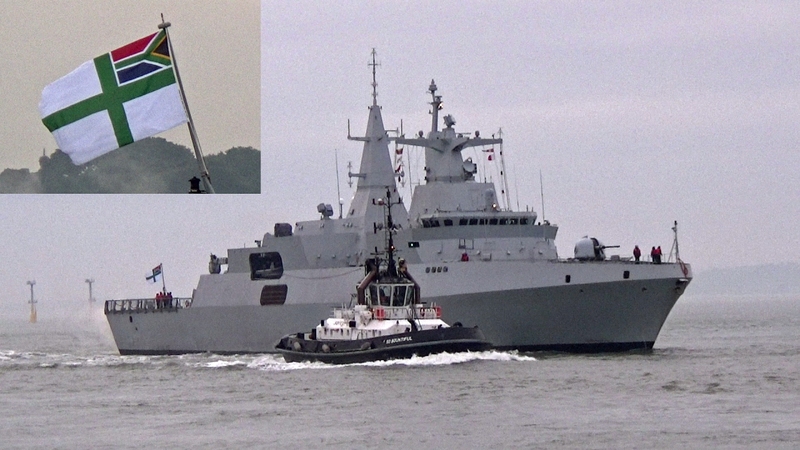 Next Post Coast Guard Boat Ideas : Damen, FCS 5009, patrol vessel.